Don’t miss your chance to vote! Votes for Adelaide City Council elections must be received by the 7th of November – which means if you want to have your say on the future of our city, you have only 24 hours left to complete and post your ballot papers. Ballots for Adelaide City Council elections are being mailed to letterboxes this week. Don’t miss this chance to have your say on the future of our city – remember to vote. 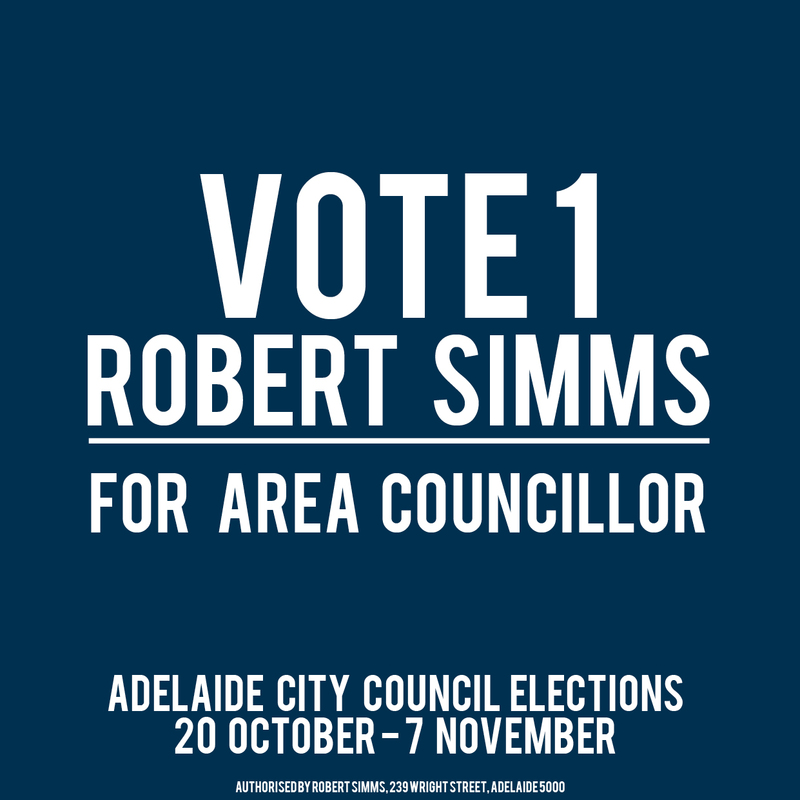 And for a strong voice for people and the planet, Vote 1 SIMMS for Area Councillor.